I hope everyone had a Happy Easter yesterday! Sadly there was not much wi-fi in Maui (boo hoo), so these are a little late but still I couldn't resist. 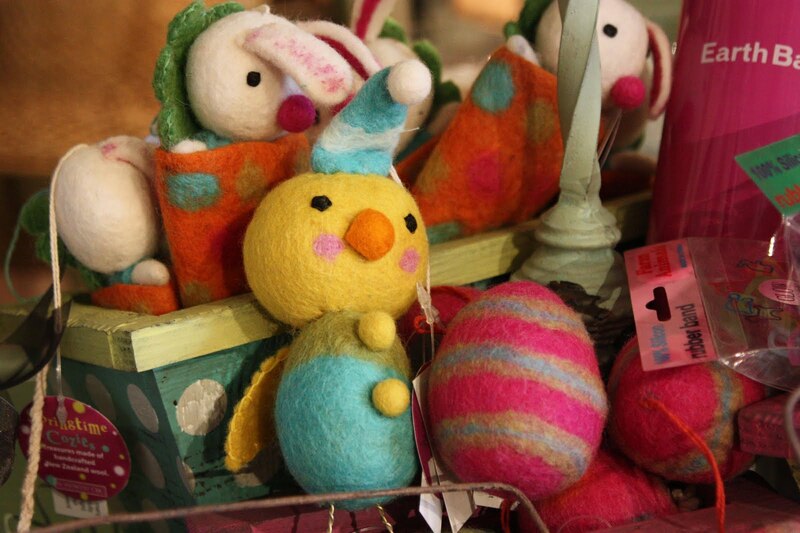 After a recent trip to Filoli Gardens in Woodside, we stopped in the gift shop and found these adorable creations! 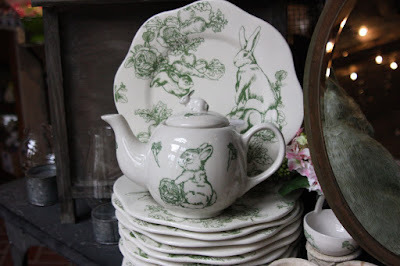 ive where the sun shines nearly every day, I can't stop dreaming about harvesting my own vegetables. 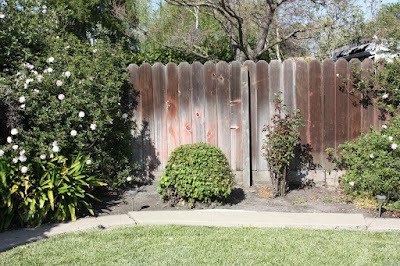 I love our wide backyard lawn, though it leaves only the border around the edges available. This lonely, sunny plot has been begging for attention. I once saw a pyramid type small-space garden in a parking lot at the co-op grocery in San Francisco. It's no longer there, but I'm hoping to replicate it from memory. Something like this but much more natural looking. I think two or three tiers are plenty. I might use bricks if I can find some cheaply somewhere. Stones would be nice, too. 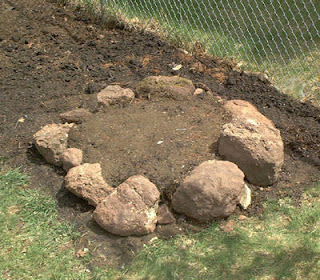 Kind of like this, but smaller stones and a larger space. I think there might have been a bean teepee on top of it all, too. Which brings me to the difficult question. What to plant? 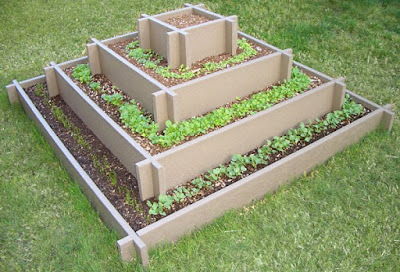 Herbs, carrots, zucchini...would the tomato plants do better to end up around the outside of the pyramid? Will I use containers to augment the crop load and design aesthetic? 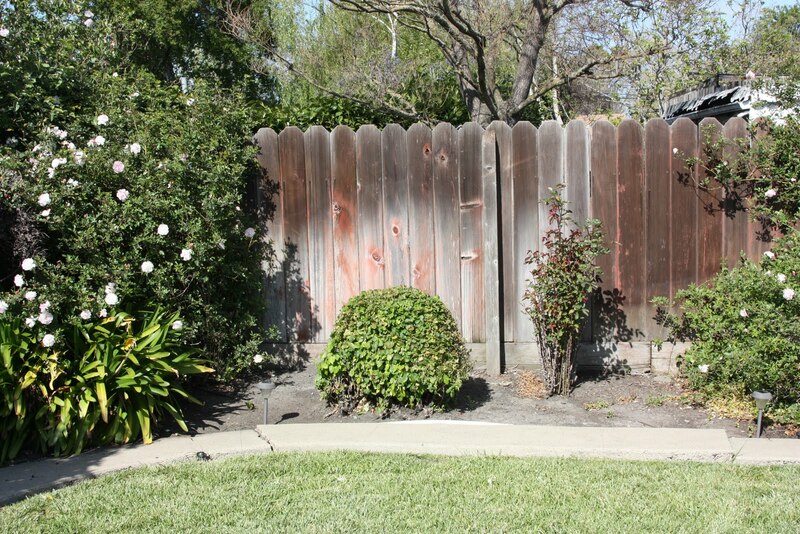 And can I grow a row of sunflowers along this fence? 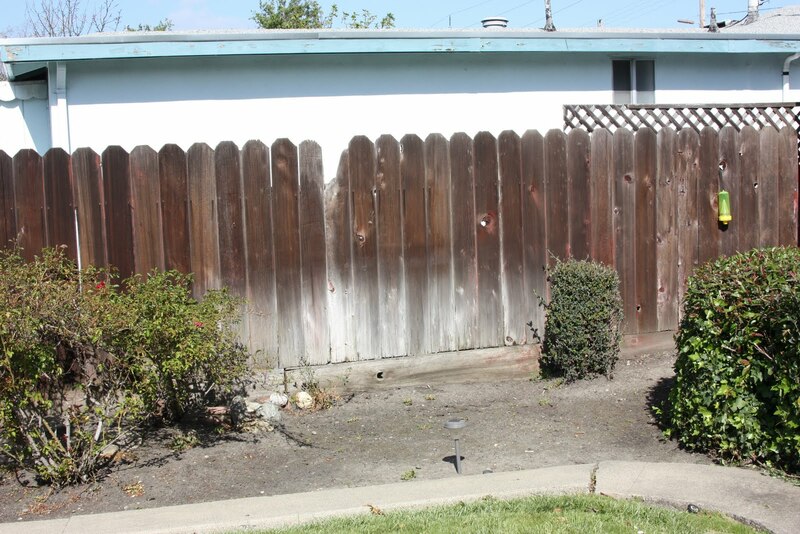 What would you do if this were your yard? I gigged with my steel drum band last night in honor of the release of their 5th CD called "Pan is de Ting" (meaning pan music is "the thing.") Steelpans are another name for the drums, made from oil barrels. 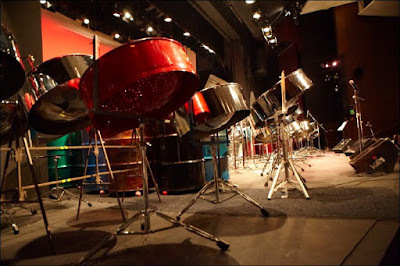 Steelpan music originated in Trinidad and Tobago, and I find playing pan music to be intoxicating as well as challenging. Someday I'd love to go to Trinidad for Carnival and hear the 100-piece Panorama bands perform calypso and soca. 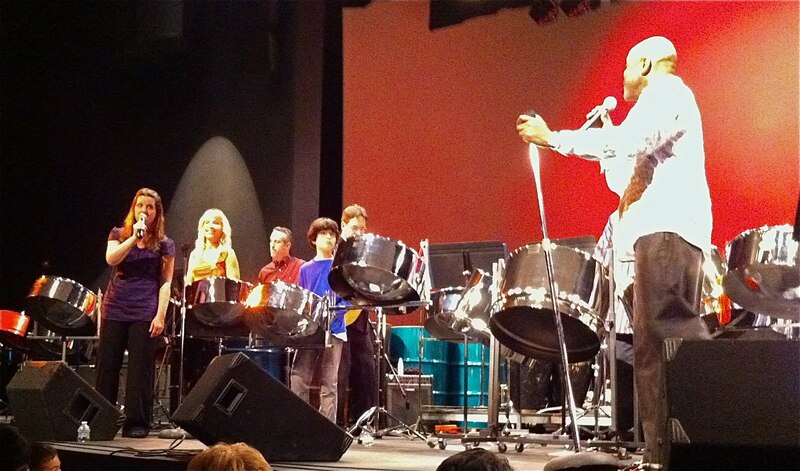 Our band, the Panhandlers Steel Drum Band is led by the talented and hilariously humble Jim Munzenrider. He runs several wildly popular afterschool bands for kids locally and is adored by every child he meets. Having been in the music scene for many years, he was able to bring in some incredible talent for our rag-tag band's performance. We were joined last night by Harry Best--an incredible pan composer from St. Lucia (he wrote Pan is de Ting), Michael Spiro--an internationally recognized percussionist, and Tony Lindsay--the lead singer for the band, Santana. The highlight of the night for me was singing backup with Tony on three tunes. I've been a performer all my life but this was one of the most fun experiences I've had on stage. Coming with the confidence of five years of vocal training and a willingness to accept myself as a singer, I was able to truly ENJOY the moment. Perfectionism leads straight into performance anxiety for me. It's been my biggest roadblock in performing. Recently while practicing my drum I realized that if I could focus only on what was in front of me, the notes in one measure which simply led to the next measure, I was infinitely more successful. I brought that mindset into my vocal lessons, following the words of my teacher, "Focus on the task in front of you!" 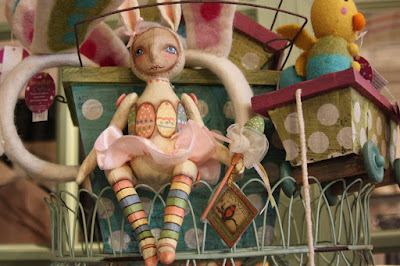 I made leaps and bounds. "Why worry about what might or might not happen when the Heart is longing only to drink in the breath of this moment?" All night I "drank in the breath of the moment" and it was glorious.